Hustle&Scout – Bigger and Better! The Market; the Bling; the Newbies, and the Favourites! When Hustle&Scout hit the capital, it did so with a bang. And ever since that packed-out inaugural event, Canberrans have flocked to the Twilight Market to, well, hustle and scout for fabulously designed and, more often than not, hand-made clothing, jewellery and more. The next market, 11 April, is the third that founder Tegan McAuley will hold at the expanded premises in Fairbairn and it promises to be the biggest and most entertaining. Planning is also underway, as if Tegan isn’t busy enough, for the first Hustle&Scout in Hobart, to be held at the gorgeous Long Gallery and Sidespace Gallery, Salamanca Arts Centre during the weekend of 20 and 21 June. But back to Canberra soil. All up 63 designers will showcase their wares at Hustle&Scout. This includes 21 new stall holders, some Canberra-based and some from interstate, and five designers who will launch new collections on the runway at FASHFEST. Read on to find more about The Market, the Bling, the Newbies, and the Favourites! Can’t go past a bit of bling? 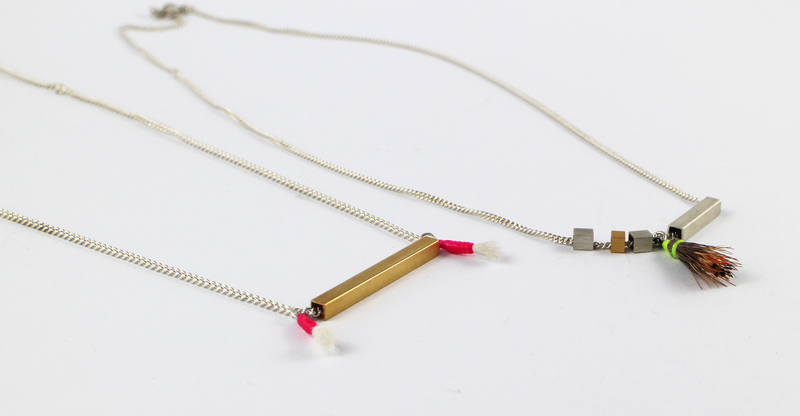 Jewellery has always been a feature of Hustle&Scout—jewellery of all styles and price points. New jewellery designers from Canberra include Workshop Still—bespoke jewellery with a contemporary, playful aesthetic, including brooches, earrings and necklaces with textual surfaces and pieces that make fun use of colour. Intoto Jewellery handcrafts pieces from sterling silver, gold-plated silver, enamel and more. Some of Brenda Clough’s handcrafted pieces include nine-carat gold, ebony and akoya pearls. The two jewellery designers behind Being Creative, Jeni McMillan and Lisa Burkhart, each have their own aesthetic and it’s worth scouting out their stall. Meraki By Design, also from the capital, sells hair accessories, jewellery and new clothing, including beautiful kimonos to relax in—after you use products from Meraki By Body that is. This line of handcrafted, vegan-friendly products includes gentle body scrubs, lotions and hair treatments. 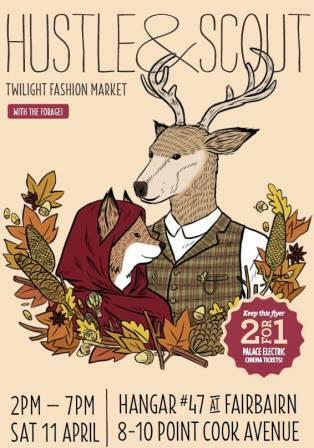 The April Twilight Market will also welcome a host of new designers creating everything from shoes, to streetwear, to sleepwear. New Canberra-based designers include Kerri-Anne Anderson with a stall stacked with every conceivable kind of bag you can think of. Kerri-Anne even sells handy handbag hooks. And if you’re into shoes (and who isn’t?) 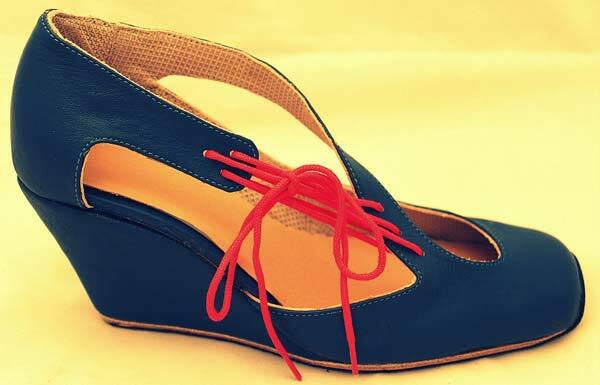 and value quality and creativity, check out Victoria Chu Shoes. Victoria will have on hand her autumn range of loafers, heels and boots and even have her workbench set up so visitors can watch how a shoe is made. Captain Robbo, another new interstate stallholder, sells funky adventure pants, 100 per cent made and hand-printed in its Melbourne studio, using eco-friendly practices and fabrics such as cotton and merino wool—perfect for winter in the capital. Dreamy sleepwear and loungewear by Canvas Australia is perfect for women who want to look beautiful and be comfy. Collaborating with emerging Australian artists, this business develops unique prints that are then incorporated into custom-knitted Coolknit fabric. Another collaboration is Roger & Peach who work with fashion illustrator Haley Johnston on illustrations, fabric prints and jewellery designs. The five designers who will showcase at FASHFEST include Rockstars and Royalty, with designer Vicky Kidd-Gallichan on hand selling her stunning accessories, head pieces and jewellery. You’ll be able to closely examine one of the glamorous gowns Vicky usually has on display at the Twilight Markets. Vicky, an expert corset maker, not only designs these magnificent, bespoke pieces, she hand makes every one of them. Corr Blimey, with its sculptural approach to streetwear, will provide market goers with a sneak peek to its new ‘Propaganda’ collection. One half of the collection recently gained massive media exposure when it appeared in a fashion parade at the WHO IS? exhibition held at Designcraft in conjunction with pieces of furniture by internationally renowned Walter Knoll. The other half of the collection, by designer Louisa de Smet, is being kept secret until it is launched at FASHFEST (13 to 16 May). Zilpah Tart has also recently been in the media, with MP Gai Brodtmann wearing a dress with a new Parliament House print created by designer, Yumi Morrissey. Yumi will have two styles of the dress made with her new print on hand at Hustle&Scout. Assemblage Project, a regular at the Twilight Market, will have quality, well-made, locally designed clothing made by designer Karen Lee, as well as fashion by other local and interstate labels stocked at their retail shop. Assemblage Project is well and truly settled in their new home in the Ori Building in Braddon. 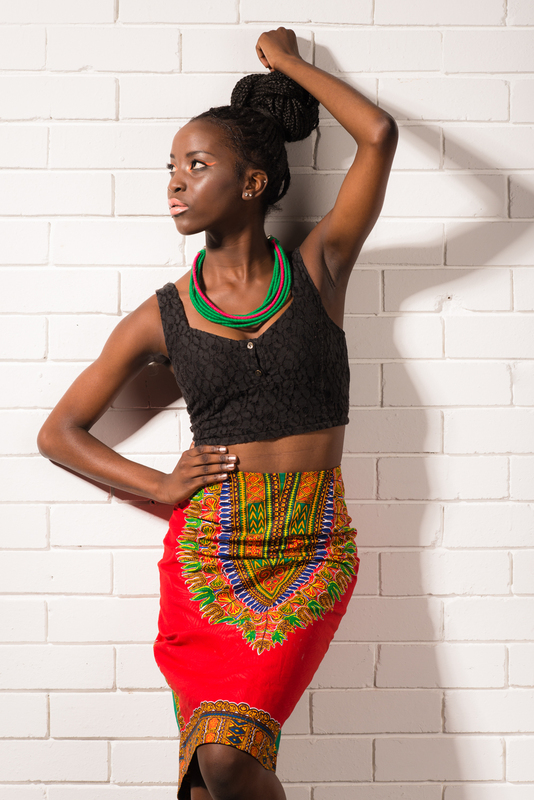 And the Twilight Market is a unique chance to meet Phoebe Mwanza, the fashion designer behind the label The Prodigal Daughter, who will make a debut appearance at FASHFEST. 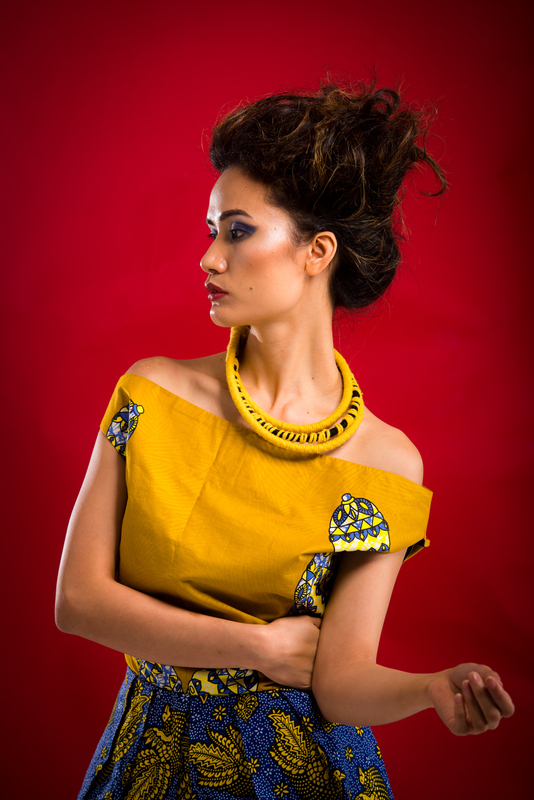 This fascinating designer marries Africa’s bold and colourful prints to the tempered, mute landscape. Corr Blimey: Designer: Corr Blimey; Leighton Hutchinson Photography; Model: Rachelle from HAUS Models; Furniture: Walter Knoll; Jewellery: Silver Atom; Hair: W Friend; MUA: K Mathias; Photographed on location at Designcraft. This entry was posted in LFW Your Canberra and tagged Assemblage Project, Corr Blimey, Designcraft, FASHFEST 2015, Hustle and Scout Twilight Markets, Hustle&Scout, Rockstars and Royalty, Salamanca Arts Centre, Zilpah Tart on April 2, 2015 by gracienumber1.